If you are using an external agency to manage your Google AdWords account, chances are your knowledge of AdWords is limited. Therefore, how can you know that your PPC manager is doing a great job? Of course you can have a glimpse at your account performance with the following metrics: CTR, traffic generated (impressions and clicks), number of leads or sales, cost per conversion and ROI. If you are still using the same agency to manage your account, I am sure you must be happy enough with the work and the leads you are getting, and maybe the number of leads you are getting even exceeds the number of leads you had planned to reach in the initial goal you set up with the agency. But how do you know that you couldn’t get any more leads? Or that you could get the same amount for a lower spend? If you have been using the same account manager for a while and you are happy with the results, there might be a chance that this person is just letting the account running and not looking for ways to improve it anymore. In other terms, your account manager might just prepare a report at the end of each month (or maybe he doesn’t even do that?) and charge you a high fee for that. 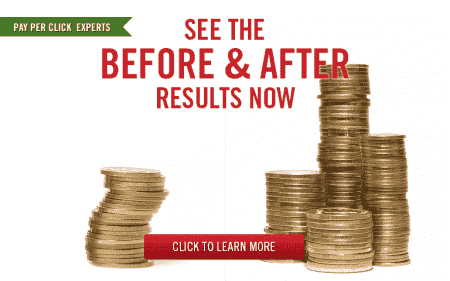 It also depends on the type of PPC management fee you decided to use with the agency. If you are using a fixed monthly management fee, you should definitely try and find out if the fee you are paying is fair in regards to the amount of work performed. If you are using a percentage of spend fee, you might not experience that problem, although your PPC manager could still just bid on untargeted keywords in order for you to spend more money and him to bill you more (ending with a lot of money wasted on your side for no reason). I am not saying here that all PPC agencies can’t be trusted and that they are all only interested in making more money. But some will only do the minimum after a while. And the others will be the ones constantly looking to improve your account and going the extra mile to get the most of it like if it was their own account. Those are the ones you want to work with. And if your current agency is not part of them, then it is better to realize it now and stop paying high fees for a minimum job, and instead find the right trustable PPC manager that you will be happy to give your money to as it will bring you so much more return on investment. Luckily there is a quick way to check the amount of work your current agency is doing. 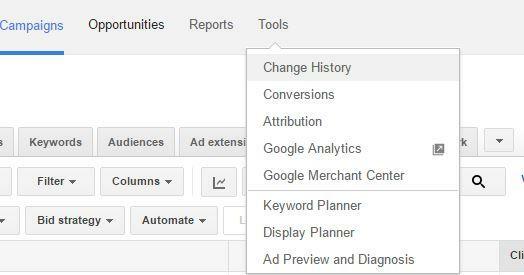 As Google is always keen to track down everything, AdWords is no exception and any change applied in your account is recorded in the change history. 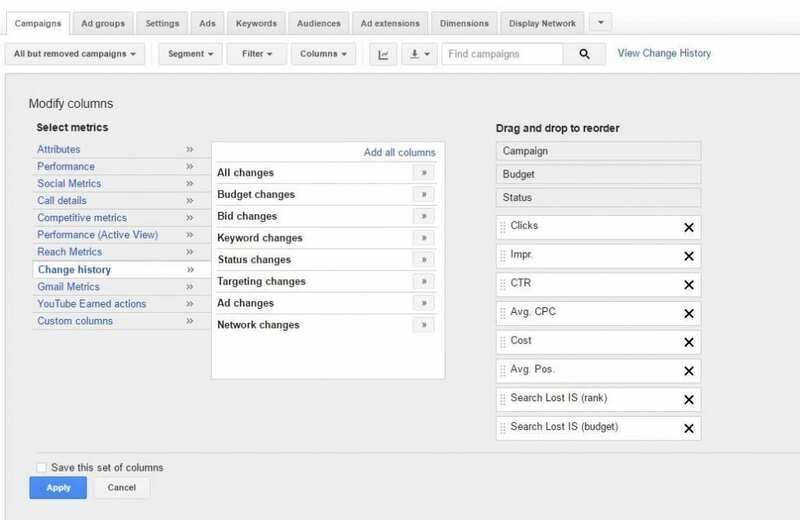 As you can see in the screenshot above, you can either decide to get the number related to all changes in a single column, or you can use different columns for budget, bids, keywords or ads changes. 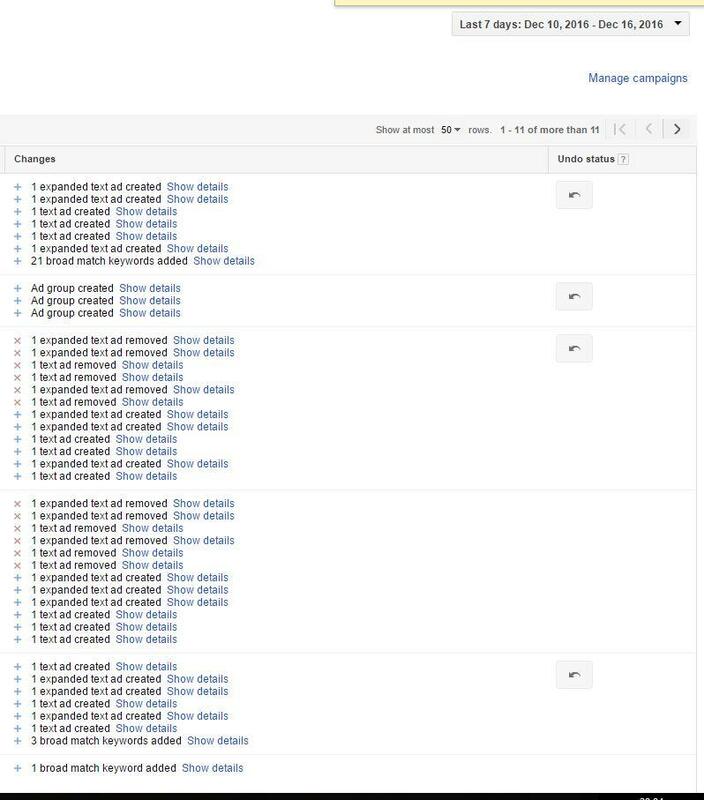 Usually it is recommended to analyze an AdWords account at least once a week to keep it healthy, so I would advise you to initially choose the last 7 days’ time frame (as shown in the screenshot above). Regarding the number of changes that should be applied, there is no golden rule (the 3547 changes you see in the screenshot above are quite exceptional, it is explained by the fact that there is a lot of testing going on in this account at the moment) and it really depends on how large the account is and the current optimization phase (of course there will be more changes and testing at the beginning of the management). If you then click on “Show details”, you will get the full details on a particular change. Having a look at that will quickly help you understand if your agency is doing everything in its hand to get the best out of your account, or if it is just doing the minimum (or not even?). If not a single change has been applied in the last month, there is definitely a problem. Please also be wise not to let your agency know that you are spying on them, as they could easily apply a few small changes that wouldn’t have any impact on the account performance (like for example increasing all bids by 1%) but that would easily regain your trust. There are also two other parameters that you can quickly check to know straight away if your PPC agency is doing a great work. The first one is the landing page. If the ads that your agency created all direct to your homepage although you have a wonderful website with different landing pages for each product, then I can tell you that your agency is not interested in improving your account. Every PPC manager knows that the key to get a better performance is relevancy and your manager should split your account by themed ad groups leading to different landing pages. The second one is mobile optimization. There are now more searches on mobiles than on desktops, so if your agency has never mentioned or discussed a mobile strategy with you, I can assure you that they are not going the extra mile to improve your account. They should be concerned if your website is not mobile friendly and they should use specific mobile innovations like click to call ads. Of course one last parameter that you could add is transparency. If your agency is trying to hide things from you, it is usually not a good sign. 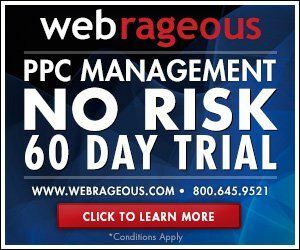 If after reading this post you have a doubt about your AdWords management agency work, do not hesitate to contact us as you could benefit from our 60 day risk free trial. You could even still use your agency in the meantime and see who does the best work after a few weeks. Why don’t you contact us today to learn more about this option?